Taking a break from drawing cartoon fruits, I completed this family commission. It seems some of my colouring techniques from that comic have crossed over into my portraits! I’ve also included a step by step process below. Click below for a larger version! 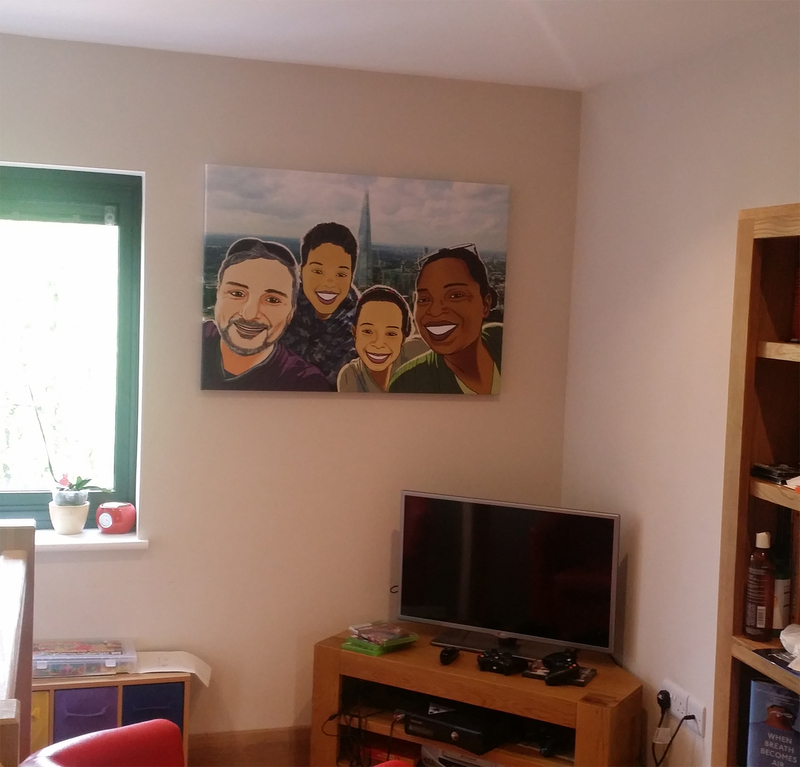 In the end, the client blew my portrait to A1 size on a canvas and hung it up! Am well chuffed! 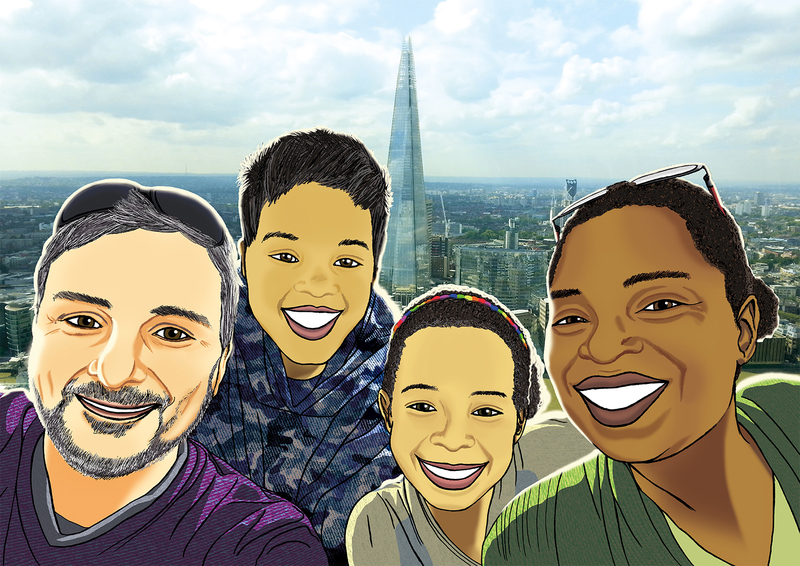 This entry was tagged Adobe Photoshop, couple, digital colouring, family, London, mixed race, portrait, Sky Garden, Walkie Talkie building. Bookmark the permalink.